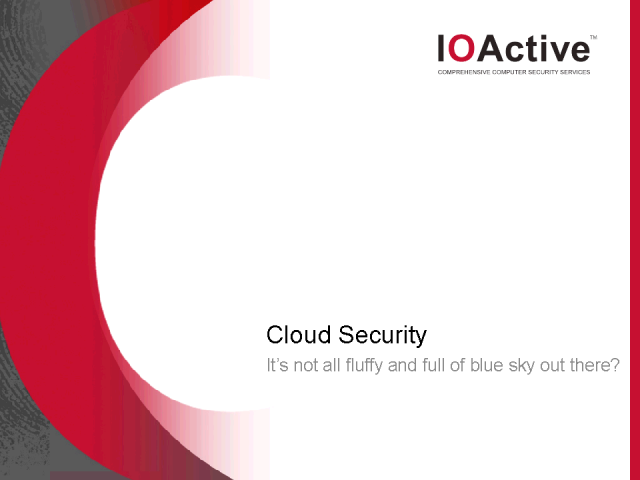 Cloud Security: It’s not all fluffy & full of blue sky out there? This presentation will cover the basics of cloud computing and the different types of cloud architecture: Software as a Service, Platform as a Service, and Infrastructure as a Service. Following the overview, Spangenberg will discuss why many organizations are employing this new technology, including financial benefits, improved productivity and greater flexibility. However, there are downsides to cloud computing, especially related to security, compliance and data ownership. Following Spangenberg’s evaluation of the benefits and challenges of cloud computing, he will offer advice and applicable tools for companies to leverage the benefits of cloud computing without jeopardizing security or compliance. Title: Cloud Security: It’s not all fluffy & full of blue sky out there?